Bloomex Australia, the fastest-growing florist in the nation, announced the introduction of 10 new bouquets for its customers today. The new arrangements range in price from $69.95 AUD to $119.95. Some of the highlighted offerings include the â? 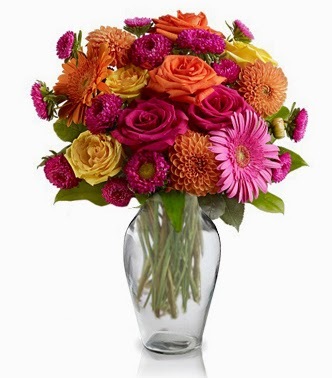 ?Strikingly Chicâ? bouquet, a vibrant assortment of Roses, Dahlias and Gerberas; the â? ?Grass is Greenerâ? bouquet, a colourful mixed bouquet with a gentle, spring-like colour palette; and the â??Loveâ? ?s Divineâ? arrangement, a stunning mix of red and white roses accented with fresh greens. Brendan Dyke, Marketing Manager for the companyâ? ?s Australian operations, said that many of the new offerings are on-trend and expected to become popular, best-selling products. Bloomex operates a production facility in Auburn, and the company services the cities and suburban regions of Sydney, Melbourne, Canberra and Brisbane. The organizationâ? ?s unique business model cuts out â??middlemenâ?? wholesalers, reducing overhead costs and allowing customers to save in the 35% to 50% range compared to other Australian florists. Orders are placed online at www.bloomex.com.au, or by phone at 1800 451 637 and then shipped directly to customers from the companyâ? ?s production facility via local courier. Bloomex is currently enjoying its highest sales volume (Q1) in the Australian market since the company expanded its operations there in 2011. This past Valentineâ? ?s Day was the companyâ? ?s most successful in its history, with close to 3,000 orders being delivered down under. Based in Ottawa, Ont., Canada, Bloomex was founded in 2005 and in addition to its operations in Australia, has production facilities in eight Canadian cities as well as Miami, Fla., USA.